Japanese-Style Bok Choy Salad, from Slow Down And Grow Something. Slow Down And Grow Something is a guide to the good life – not the good life that might be found on a rural patch of land, but rather the joy to be found in urban growing, in backyards and on rooftops, courtyards, balconies and other urban landscapes. In this fast-paced world, even just a few minutes a day spent tending to a garden can be an antidote to the stresses of daily life. It doesn’t matter how big or small your garden is; even just a few herbs in a pot can be restorative for the soul. It’s not just about producing food; it’s more about stepping back and enjoying a few quiet moments away from the crazy pace of modern life. 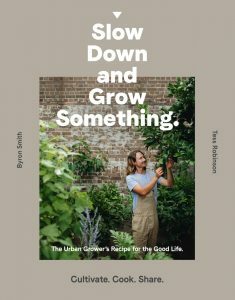 Byron Smith and Tess Robinson are right on trend with Slow Down And Grow Something, published by Murdoch Books. Smith is a horticulturalist and founder of Urban Growers, installing and maintaining food gardens for clients such as Qantas, Three Blue Ducks and Oz Harvest. He is passionate about the environment, accessible food and sustainability. 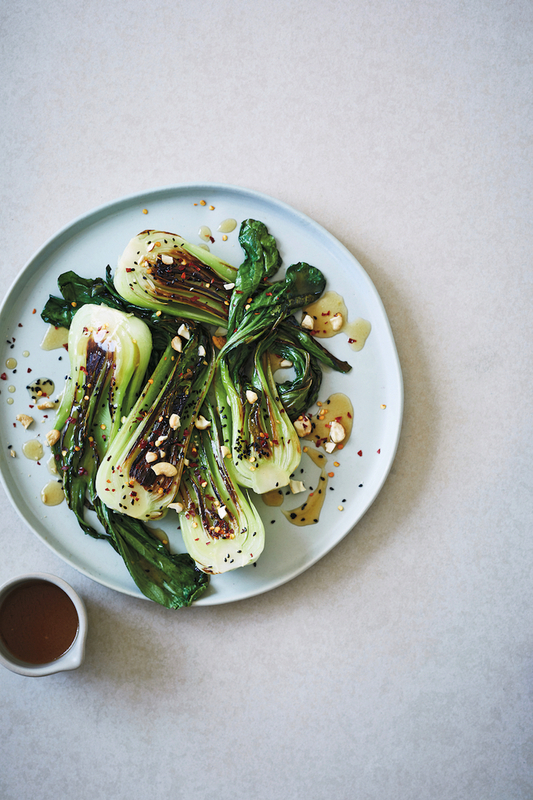 Robinson is chief cook with the produce from Smith’s garden, and the recipes they’ve come up with to tempt readers of their lovely book include delights such as Lemon, Zucchini and Rosemary Bread; Coconut, Ginger and Lemongrass Icecream; and this Japanese-style Bok Choy Salad. Bok choy is one of the easiest Asian greens to grow, and the authors says that theirs all spring up at once, leaving them to madly find ways of cooking and devouring its lush and buttery leaves. If you want to get a little adventurous in the garden, you could try your hand at growing some Chinese broccoli (gai lan) to use in this recipe. In a small bowl, mix the mirin, miso paste, rice vinegar and lime juice together until the miso has completely dispersed. In a medium saucepan, heat 1 tablespoon of peanut oil over high heat. Add the garlic and ginger and stir for 30 seconds, then add the miso mixture and cook for about 1 minute; the mixture should thicken up slightly. Remove the saucepan from the heat and stir in the sesame oil. In a large frying pan, heat 1 tablespoon of peanut oil over high heat. Add the bok choy and cook for about 5 minutes or until the outer edges of the stalks start to brown and crisp up. Remove the frying pan from the heat. Place the bok choy onto serving plates and drizzle the miso mixture over the top. Sprinkle with cashews, sesame seeds and chilli flakes. Serve immediately, while the bok choy is still hot and crispy. Note: This recipe is the ideal side dish to accompany soba noodles or brown rice. 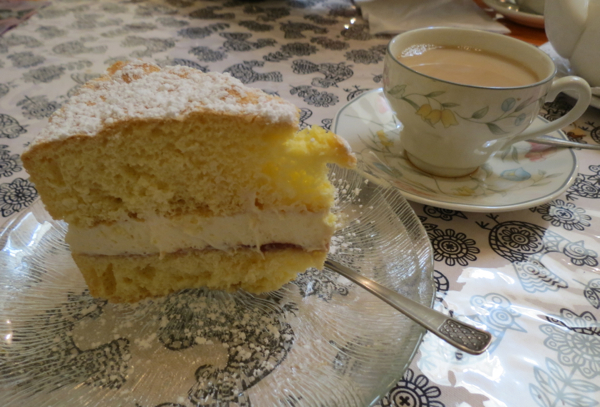 Recipe and images from Slow Down And Grow Something , by Byron Smith with Tess Robinson. Photography by Alex Carlyle (location), Rob Palmer (food). Published by Murdoch Books and reproduced with the publisher’s permission.